Compatible with most disk brakes, see exceptions below. The AC LowRider is incredibly solid and easy to install. 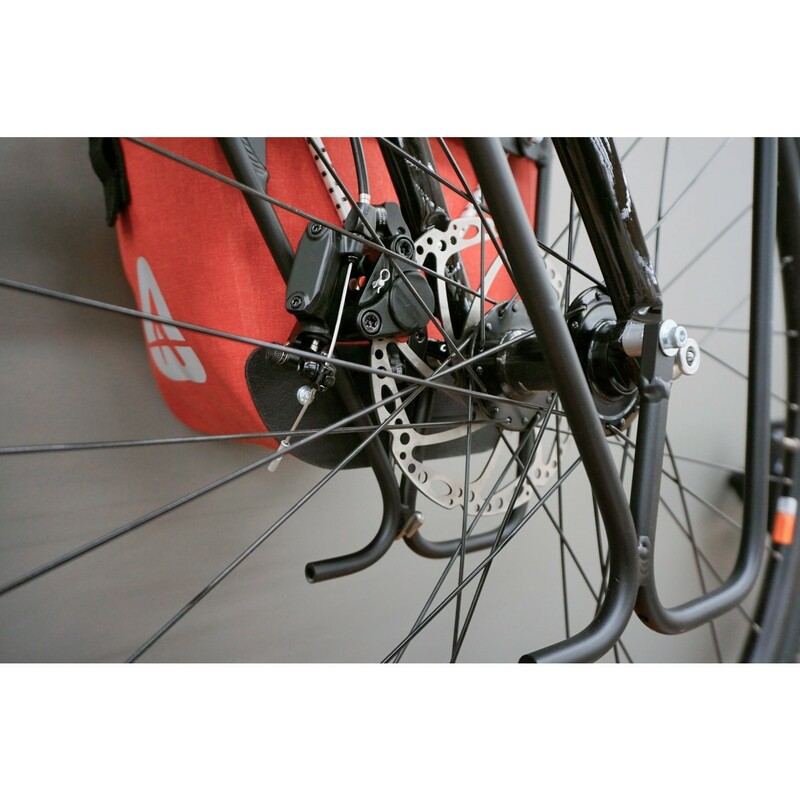 It's designed to carry panniers closer to the ground; this lowers the center of gravity of the load and improves handling. Your front panniers will mount low, but maintain plenty of ground clearance, ensuring the panniers won’t scrape the ground. 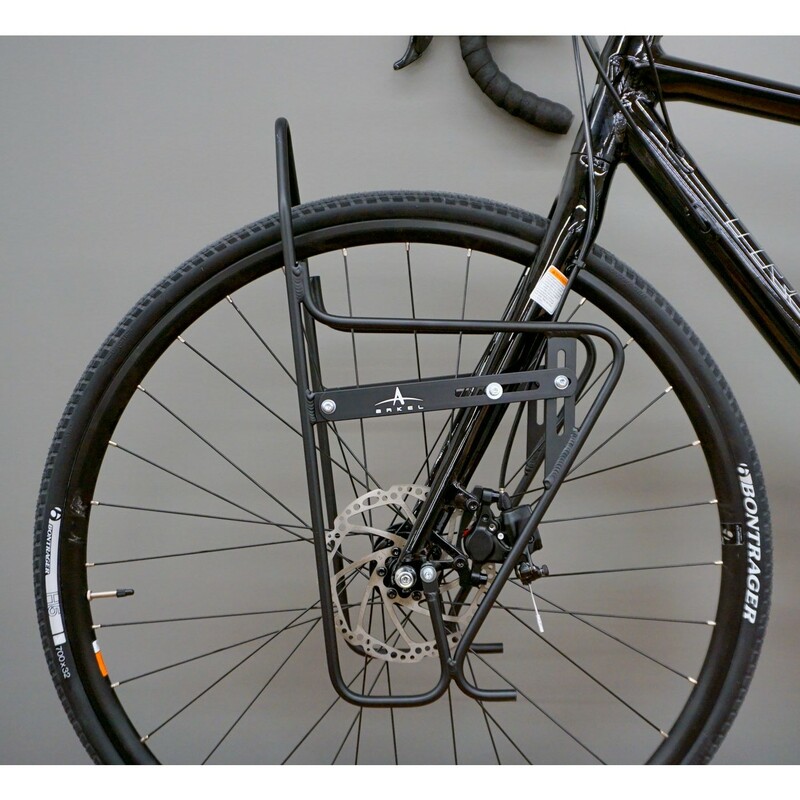 This is important as some larger front panniers might hit the ground when mounted on front racks that don’t offer as much ground clearance, this is especially true with 26” wheels. 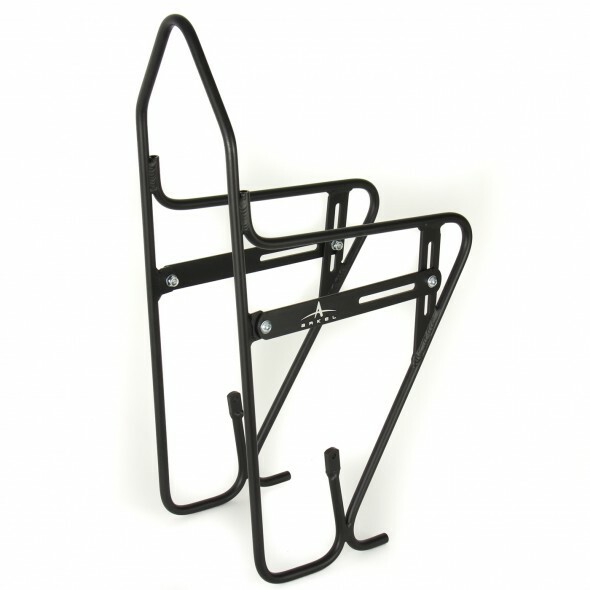 The AC LowRider's clever adjustable arm allows you to level off the top of the rack no matter the position on the fork. 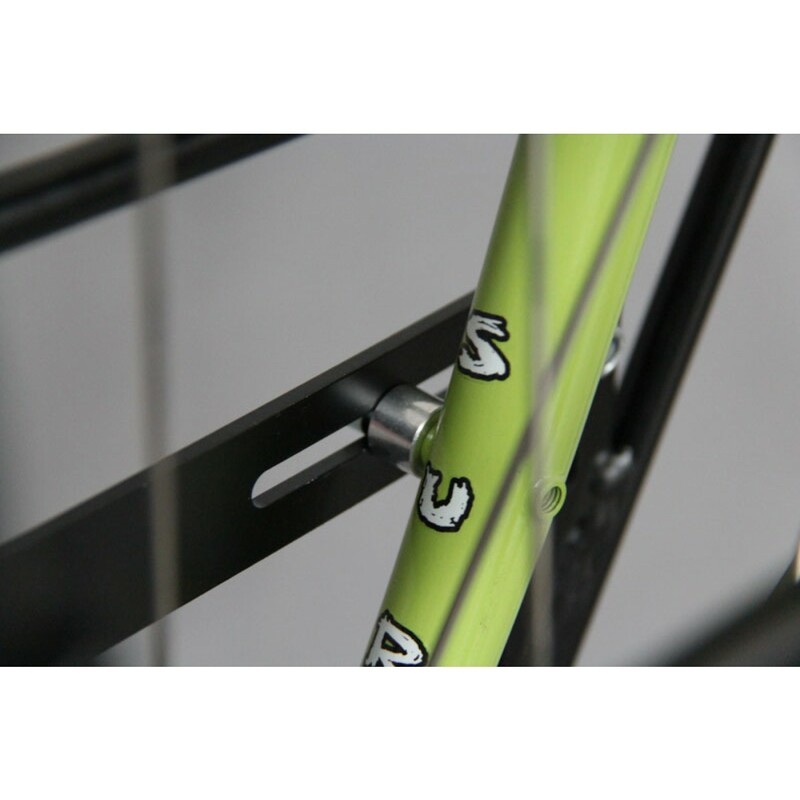 The spacer ensures the rack doesn’t damage the fork’s finish, whatever its shape. 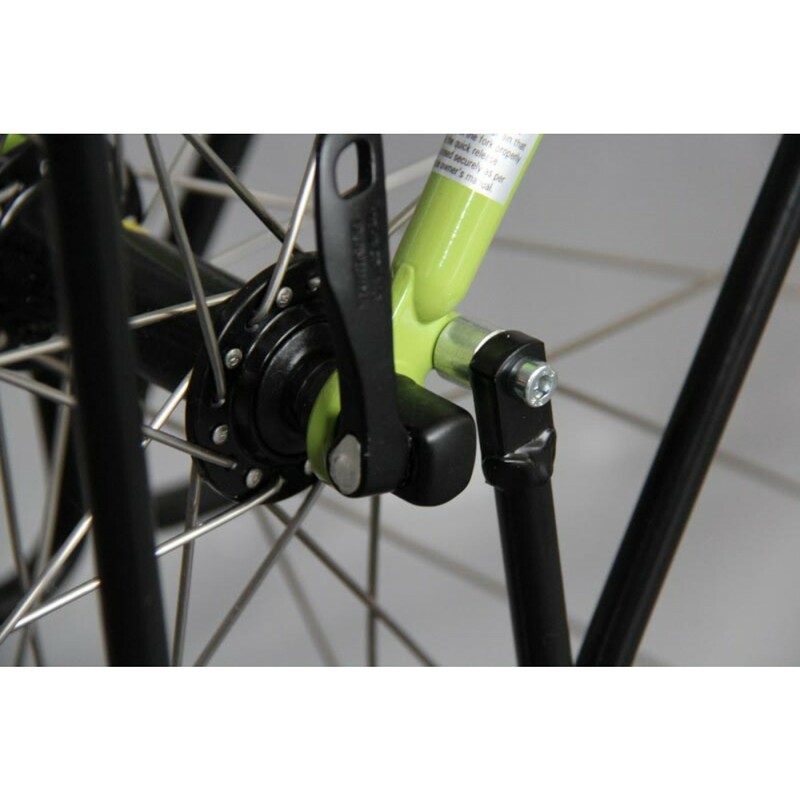 Compatible with all hydraulic brakes and some mechanical disc brakes. Not compatible with the following mechanical disc brakes: Hayes CX Expert, Shimano CX77, Promax Render, and Avid BB7 and BB5. Load Capacity: 15 kg / 33 lbs. This is a thoughtfully designed, solid, light weight low rider rack. 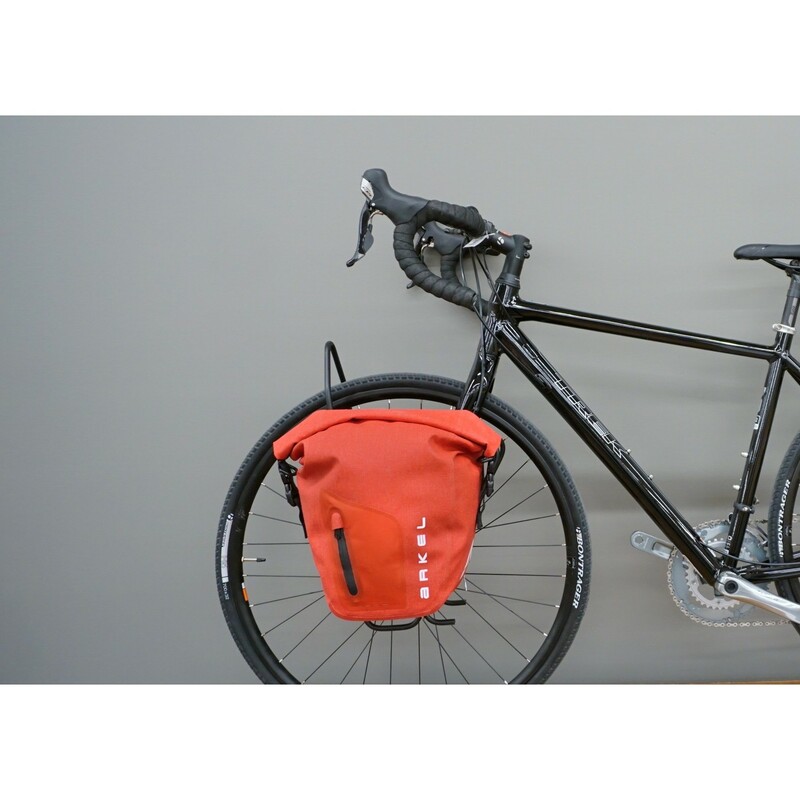 I have been using it for 3 months with several different panniers. 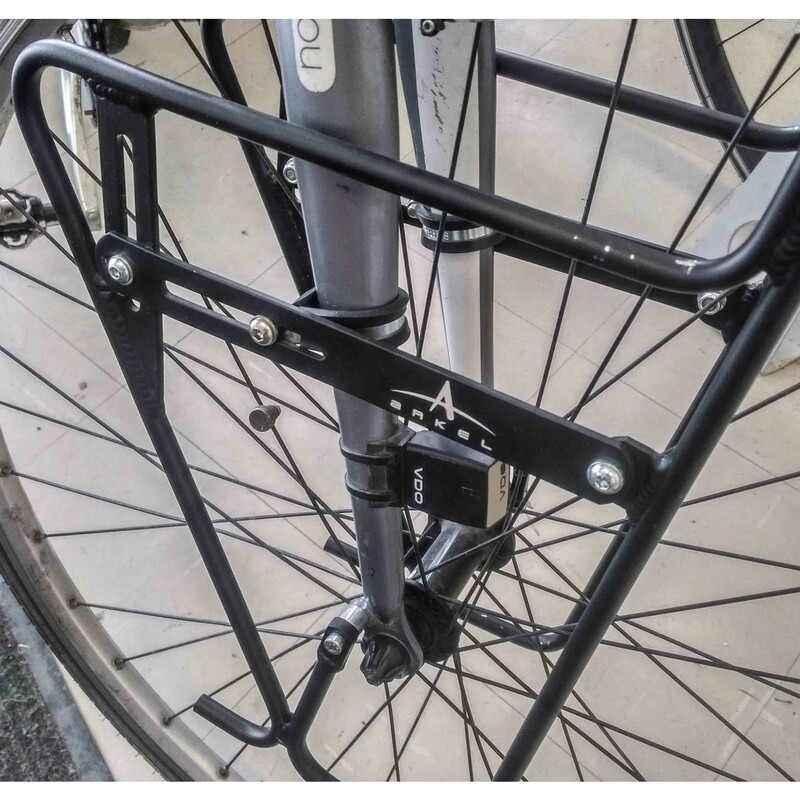 The rack holds the panniers firmly, there is zero sway in the rack or panniers, even with sudden steering inputs or road irregularities. 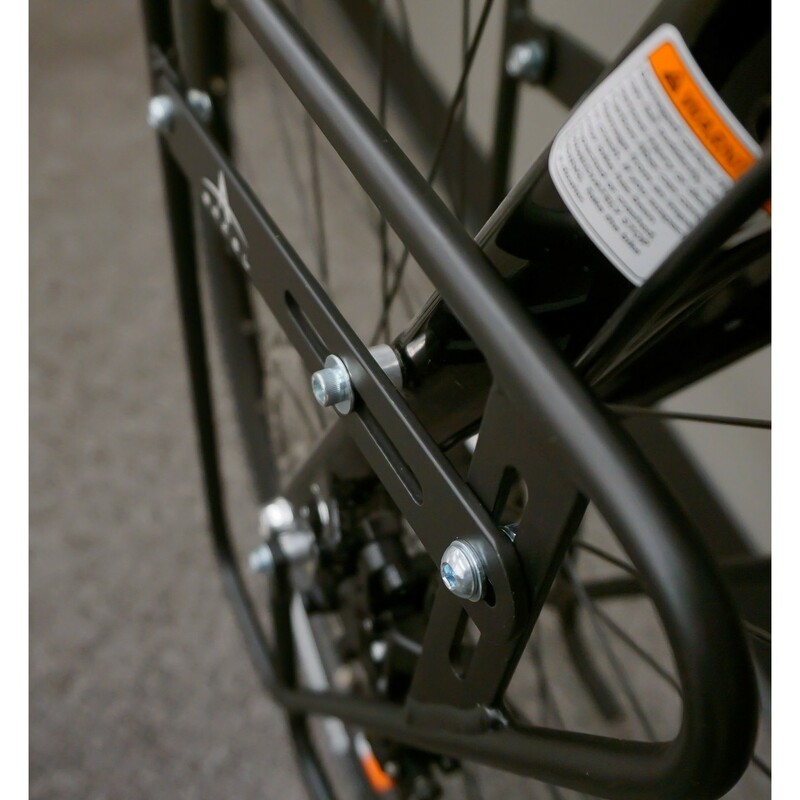 Installation on a Co-Motion Tandem with Avid BB7 Disc Brakes was frustrating mainly because the installation hardware supplied by Arkel lacked the proper length bolts and sufficient spacers for this application. However, once I sourced bolts of the correct length and sufficient spacers, the rack was easy to install. 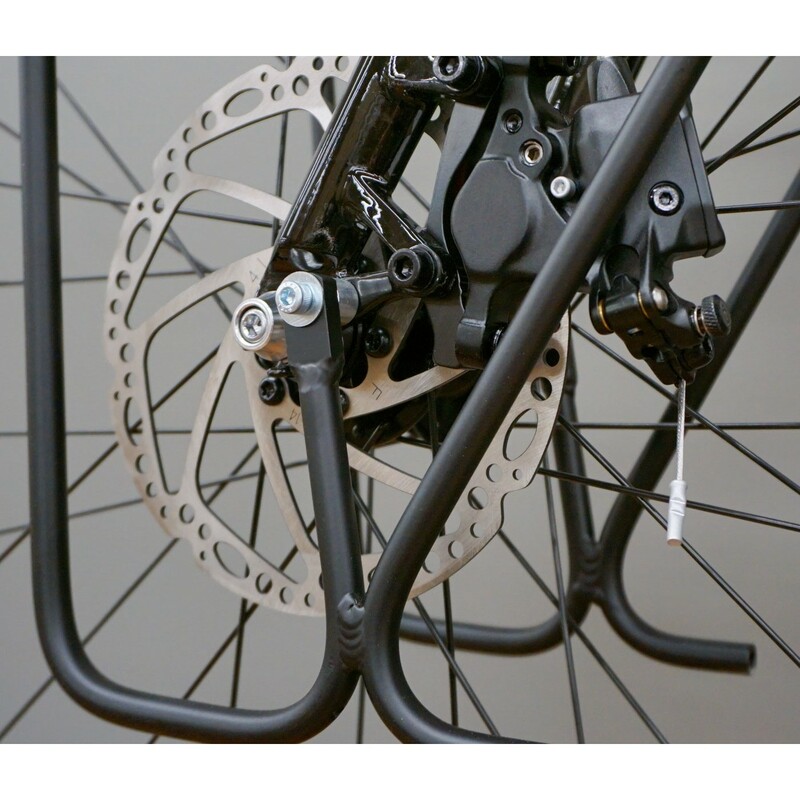 Arkel should offer an optional hardware package for disc brake applications; I would pay extra for the convenience. Had this been available, I would have provided a value rating of 5/5. 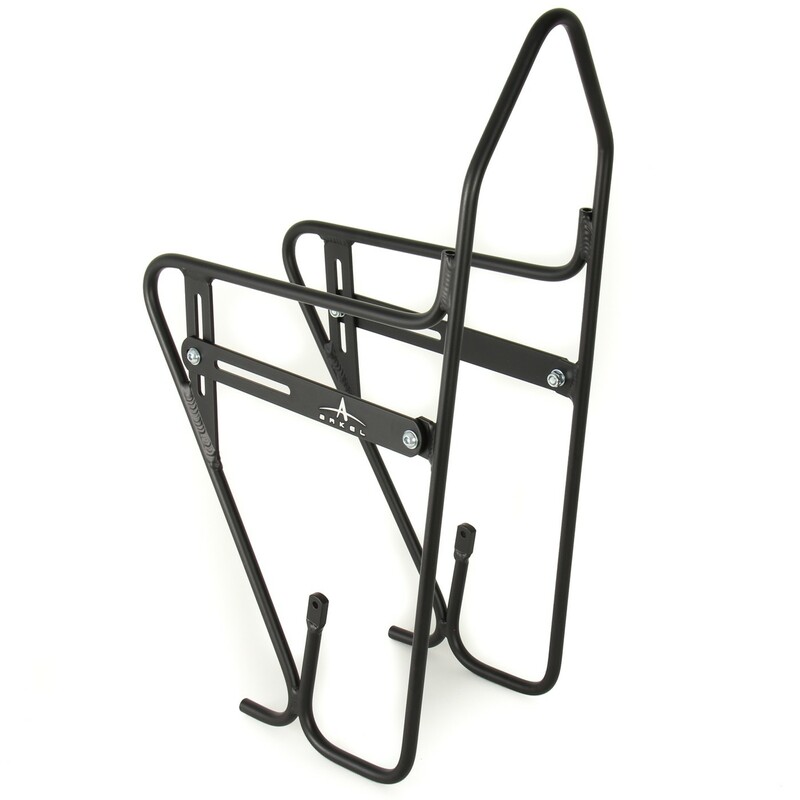 Once installed, the rack has handled some very heavy loads of over 10kg without problem. Excellent product. Very unhappy about mounting on my 2015 Sojourner. Ended up having to make my own spacers and locate shims and correct length bolts. I've spent countless hours shimming rack to clear Disc-caliper and still only have about 1-2mm clearance. Not to mention bending the fender stays which changes the tire-to-fender clearance. I needed 4 spacers approximately 25mm to obtain that amount of clearance, that's a lot of spacing. I'm concerned about the weight limit now as that much shimming changes the weight load on the bolt attached to the folk with having only about 1/4" of thread grip depth. I asked about this very possibility before purchasing and was told there would be not problem with only a small amount of shimming. This is NOT the case. Still have not had a chance to fully test mounting w/weight. This rack is very expensive for the material and labor that went into it but it is an easy fit and comes with all the necessary hardware, bolts, spacers & washers that you will need and installs very quickly because of it's adjustability. Highly recommend because campared to the other low riders I've seen this is the best design and quality. My friend from Czech republik see it and he want one . So I ordered one AC low rider for his nice antique touring Cannondale touring bike . This think survived some tours in Europe and 14 000 km tour in Asia. I just recieve some pictures , rack is really beaten up but still hold - really amazing product for reasonable price! Nice fit, solid when mounted. 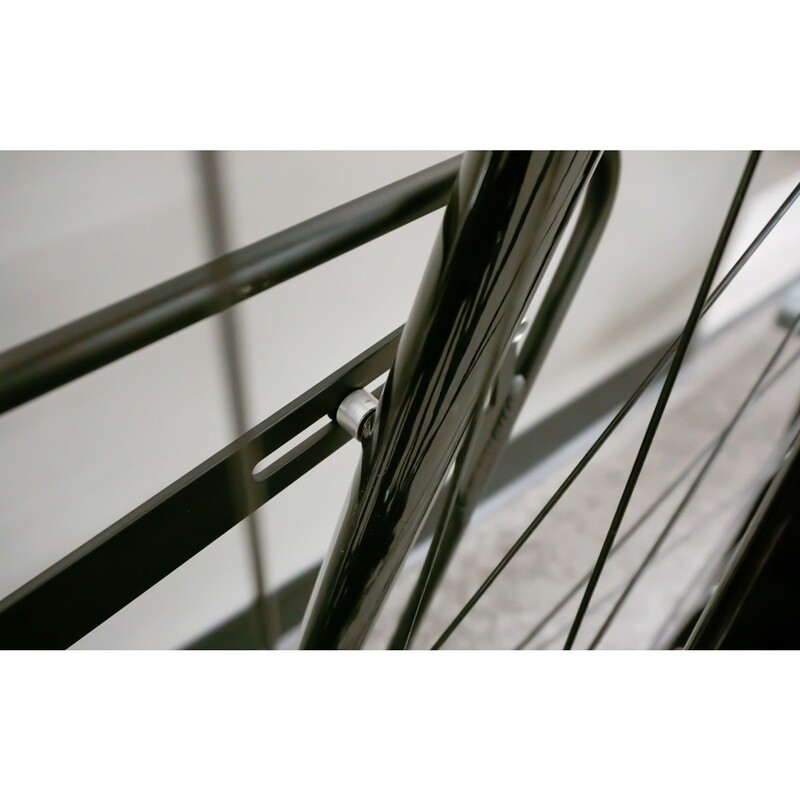 It does have a very close clearance with the front disc brake, but with the spacers and a little pressure adequate clearance is obtained for full motion of the disc brake.